Does God delight in the work you do? Is there purpose even in the mundane tasks? 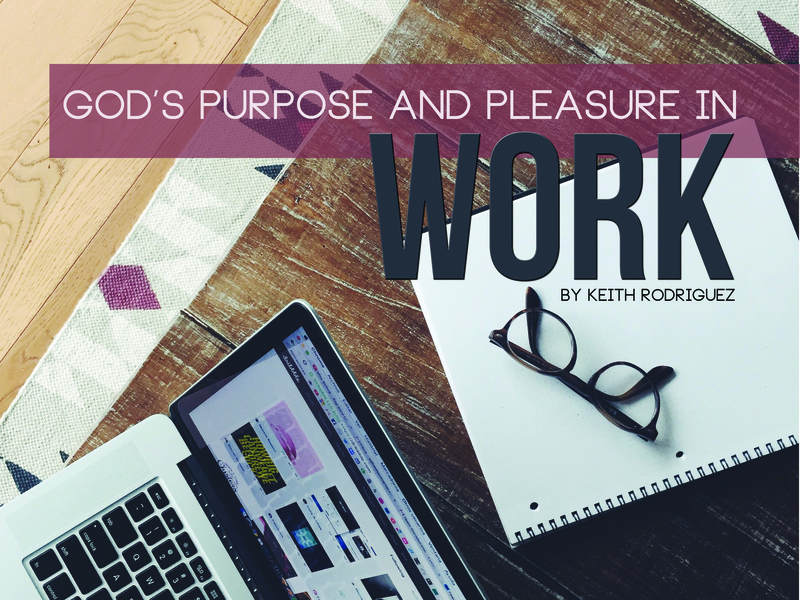 In the following article, Pastor Keith addresses the tension, pitfalls, and redemption that can be found in both the “secular” and ministry-based work place. The workplace is oftentimes an area of the Christian life that is relegated to the role of financial necessity, which never-the-less informs our attitude and approach to the workplace, our co-workers, supervisors, and ultimately the quality of our work. Prior to my role in pastoral ministry, I too was employed within the “secular” workforce, laboring hours a day in what I often thought was the less-than noble task of retail management. And I bet that many of you view the workplace as a thankless necessity unavoidable if you wish to provide for your family, and not necessarily the sacred responsibility of a follower of Christ. However, before humanity was cursed through the fall of Adam, work was instituted by God, insofar as Adam was commanded by God to work and take care of the Garden (Genesis 2:15). As such, we find that every aspect of our lives is important to God, from the mundane tasks of our everyday jobs, to worshipping God with our church family on Sundays, God has a purpose for your work. Obviously work is an incredibly practical and important endeavor in the life of a Christian. It is the primary means by which one sustains the physical needs of their life by providing income to feed, clothe, house, and recreate. Moreover, it is often the area, outside of our homes, that we spend the most amount of our time, and provides the primary environment of engagement with unbelievers. Therefore the workplace is a mission field for believers, where the gospel must shape our work-ethic, interaction with others, and sub-ordinance to our leaders.1 Finally, each of us are priests, and have a priestly calling to fulfill. We understand the detriment of Adam’s complacency, and let us not kid ourselves that our complacent attitudes will result in the fall of all of humanity. Rather, in light of this we can understand the weight of our work, the purpose that God has placed on that aspect of our lives, and the pleasure He takes in being made much of in the world. God has called you to be engaged, has called you to be a force, and has called you to spread His glory wherever you are. And this includes every aspect of your life, and even more so at the workplace. Therefore the challenge stands before you, how will you overcome complacency, and understand the weight of your work? How will you remain engaged in the mundane tasks, and the difficult relationships of the workplace? One must only look towards the great price that our Savior paid, and the depth of grace that was poured out on His followers at the Cross, in order to gain insight into His love of the unlovable. Let the message of the gospel inform, and empower you to respond, in order that you will make much of God’s glory within your workplace through not only words, but rather your actions.